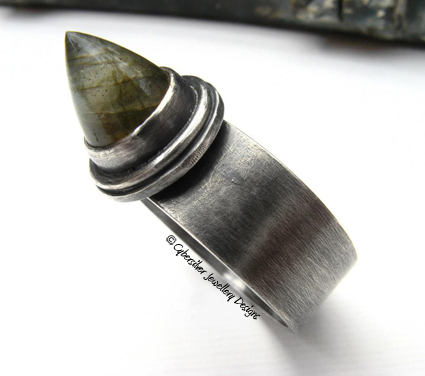 A gloriously chunky sterling silver ring featuring an unusual cone-shaped Labradorite gemstone. 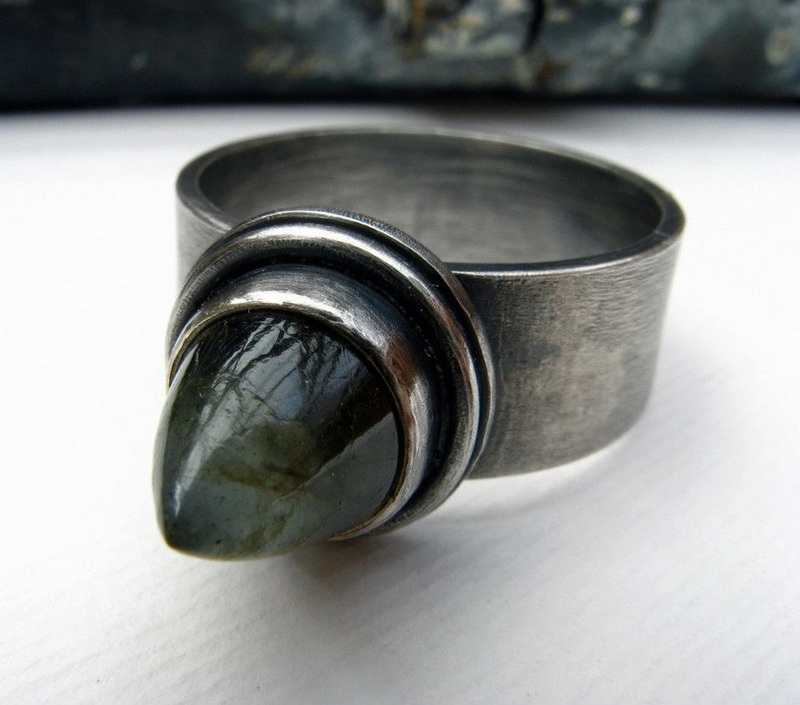 The silver has been oxidised, brushed and waxed to give a lovely aged patina. Oxidisation is a surface treatment and can continue to wear to a beautiful grey. According to Eskimo legend, the Northern Lights were once imprisoned in the rocks along the coast of Labrador. 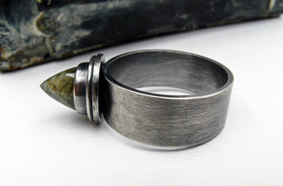 A wandering Eskimo warrior found them and freed most of the lights with a mighty blow of his spear, but some remained trapped inside the stone. It's these trapped lights which give Labradorite it's gorgeous colour and light. 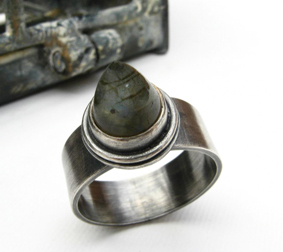 Traditionally, Labradorite is thought to bring good luck and dispel negativity.